The WesGold Fellows just kicked off its’ 10th year and is off to a strong start. 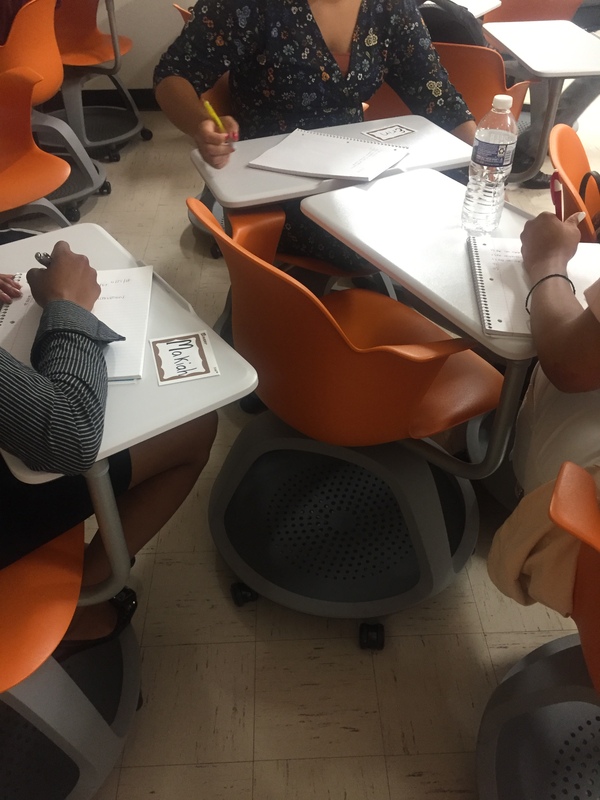 The Fellows participated in an array of individual and partner activities along with Socratic style discussions throughout the day. 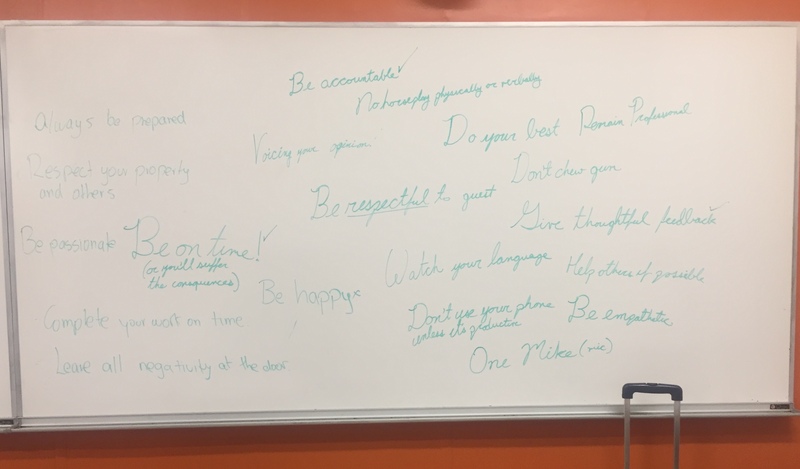 The students and coordinators covered what they would like to get out of the program, how they should responsibly manage themselves, and reflected on situations in which they could have made better choices. 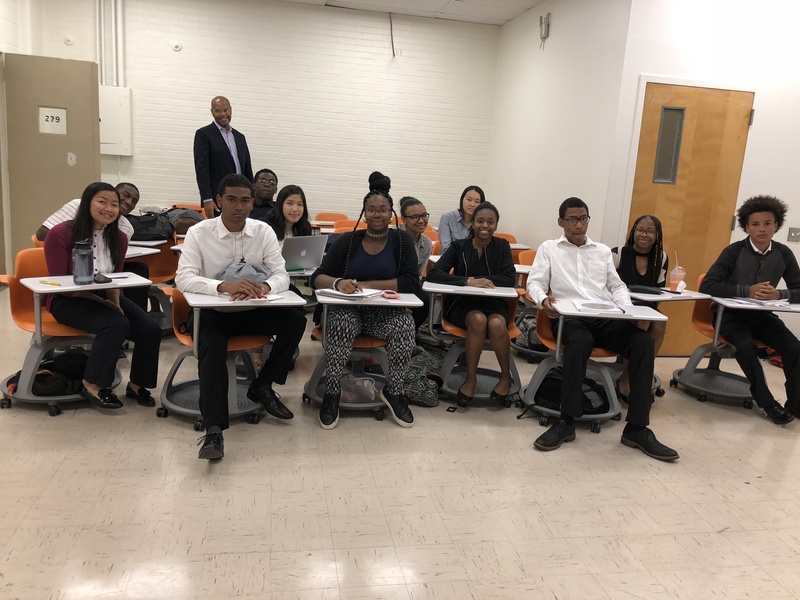 The day began with the students converging to the main lobby of Drexel University’s main building and anxiously chatting with one another as the jitters of the first day enveloped them. The usual uncertainty that a new beginning brings was apparent as the fellows marched toward their new classroom for the first time. The day began with stretches to stimulate the students followed by the creation of a class constitution. The students were split into four subgroups to brainstorm rules that they felt were vital in the governing of the group for the next eight weeks. The chatter of various do’s and don’ts filled the air as the students deliberated on what they felt was essential in their ground rules. The students came up with rules such as Be on time, Watch your language, and Be passionate. After all the possible rules were presented, they had to go through a ratification process of sorts to actually make it onto the constitution. The ratification process entailed that the majority of the group, which is seven or more students, had to second the proposed rule. Ultimately, eight of the rules were selected and they include: Be accountable, Be on time, Give thoughtful feedback, Voice your opinion, Respect your property and others’, Remain professional, One mic, and Don’t use your phone unless it’s productive. The rules that the students brainstormed and ratified into the class constitution. 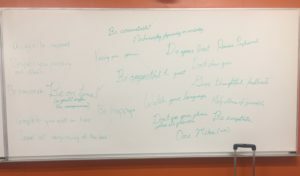 Next, the students talked about their expectations for the program and what they hope to experience during their time in the WesGold Fellows program. They ranged from smaller lessons such as how to set up a bank account to larger lifelong feats such as becoming more outspoken or gaining better public speaking skills. Some students simply wanted to gain more knowledge on finance and how to effectively save money. They feel that it is crucial to acquire such knowledgebecause it allows them to fix problems and live stable lives. A commonality between all of the students? Their desire to achieve a new level of knowledge and self-awareness was evident. The WesGold Fellows students jotting down their expectations for the program. 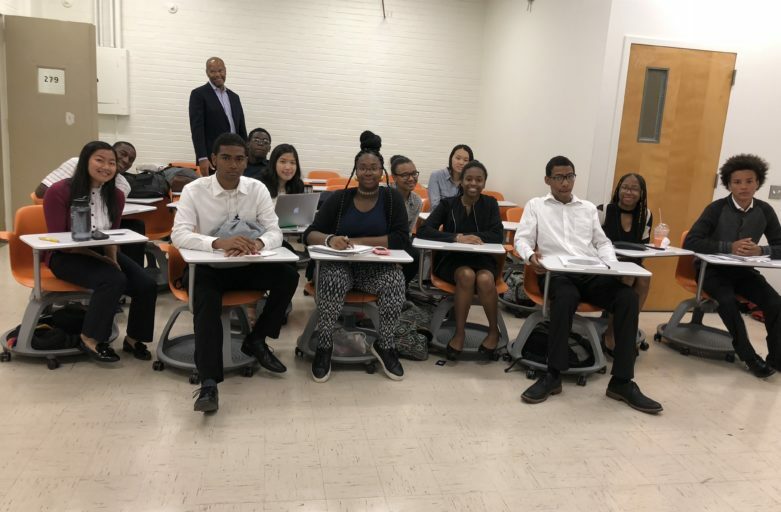 The day ended with West Philadelphia Financial Services Institution’s own Michael Gross coming in to speak to the students about his own personal development, the journey that he has traversed, and his hopes for their futures. Michael spoke on people who helped shape him such as his late student from Abraham Lincoln High School, Will Wilkinson, who taught him how to be a man through living his life on his own terms and his mother, who he describes as the hardest working person that he knows. He also spoke on some of his own trials such as dealing with depression and suffering with self-confidence. Finally, he told the students that he hopes that they come out of the program with more confidence, learning more about themselves, and understanding that in the end, they are a family who can count on each other. After 10 years, WGF has developed over 100 young people into effective leaders of tomorrow and this latest class is shaping up to be the best yet. Stay tuned for what’s to come!